Dr. Kaitlin Enns is originally from Vernon, BC, but she spent most of her adult years in Vancouver learning to love the rain and embracing big city life. After graduating with her Doctor of Dental Medicine degree from the University of British Columbia in 2013, she made her way to Calgary to begin her career as a dentist. She is gentle, proficient and strives to make each dental appointment comfortable and enjoyable. 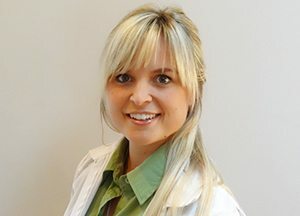 Dr. Enns is certified for Invisilign treatment and has broadened her dental experience by volunteering in dental mission trips to Argentina, Brazil and Guatemala and volunteered her time to clinics in the Lower Mainland. In her spare time she enjoys spending time with friends and family, skiing, hiking, painting, and travelling.